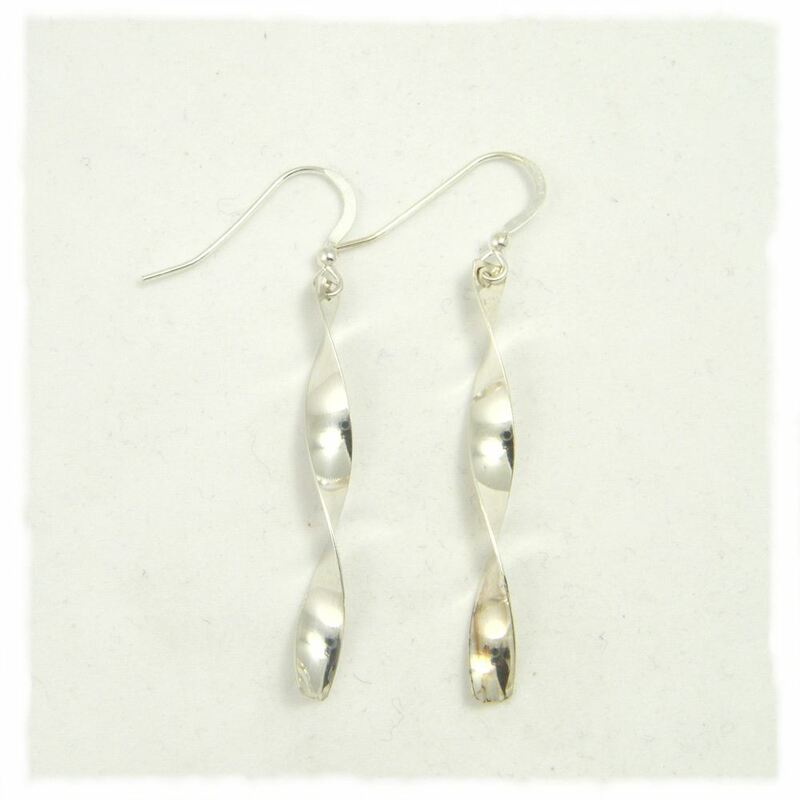 These light earrings are made from fine (99.9%) silver with sterling silver ear wires. They catch the light beautifully. Two helixes of fine (99.9%) silver with sterling silver ear wires. They weigh only 2 grams and catch the light. 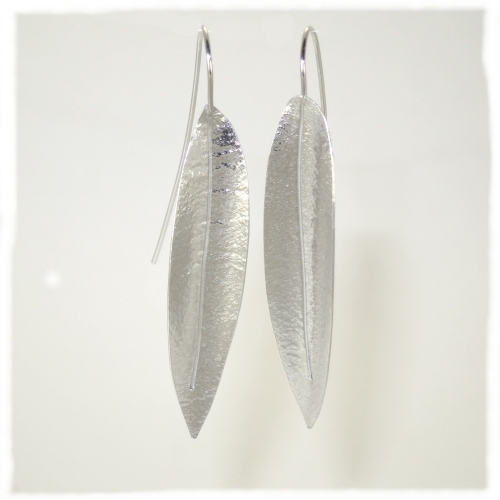 Inspired by an olive leaf, these are fine silver earrings with a long sterling silver wire to form the integral loop. The leaf is 5 cm long. Fully hallmarked. 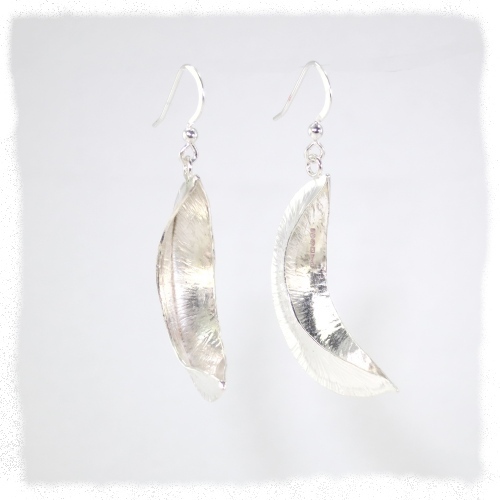 Inspired by an olive leaf, these are fine silver earrings with a long sterling silver wire to form the integral loop.The leaf is 5 cm long. These have a thin gold plated layer.. 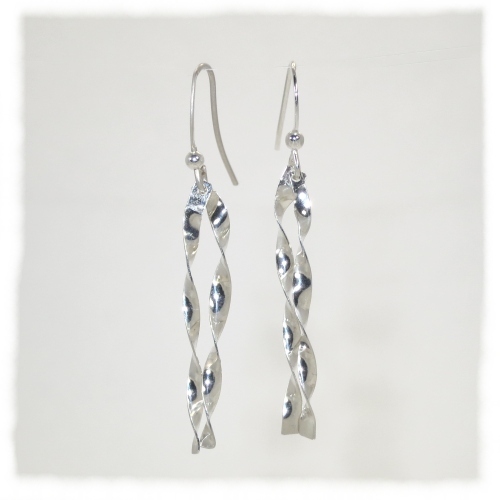 These earrings are created by a tecnique called fold forming - careful and repeated hammering of a sheet of folded silver. The ones on the right have the inside gold plated. 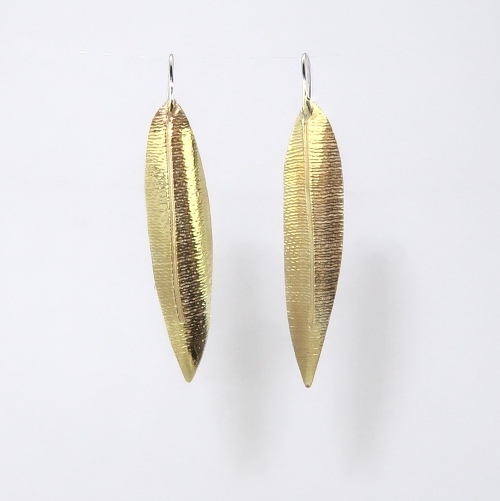 Both weigh about 3 grams per earring and are 3 or 4 cm long. Fully hallmarked. If you would like different ear wire/ clips , please contact me before ordering. Matching pendants are available. 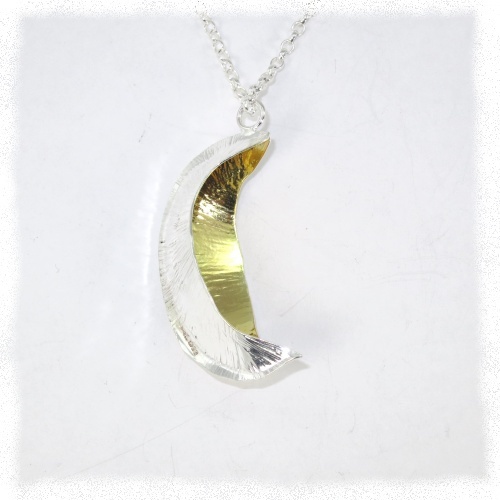 These pendants are created by a tecnique called fold forming - careful and repeated hammering of a sheet of folded silver. The one on the right has the inside gold plated. Both weigh about 5 grams and are 45 mm long. Fully hallmarked and on a 16 inch 'belcher' style chain. If you would like a different chain, please contact me before ordering. 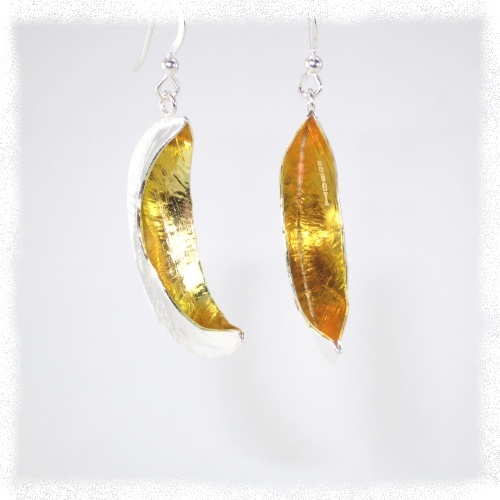 Matching earrings are available - see above. 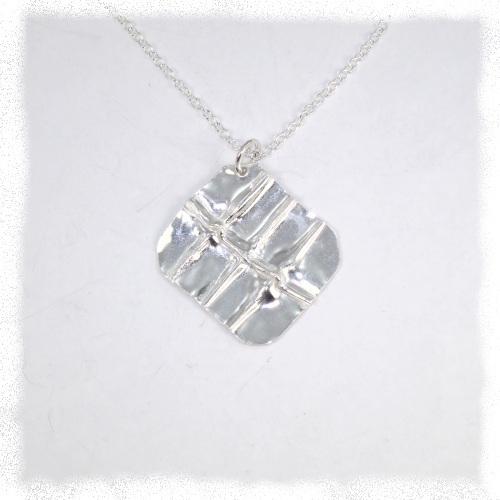 Three centimetres square and weighing 3 grams, this pendant has a crumpled surface formed by multiple folds of the metal. 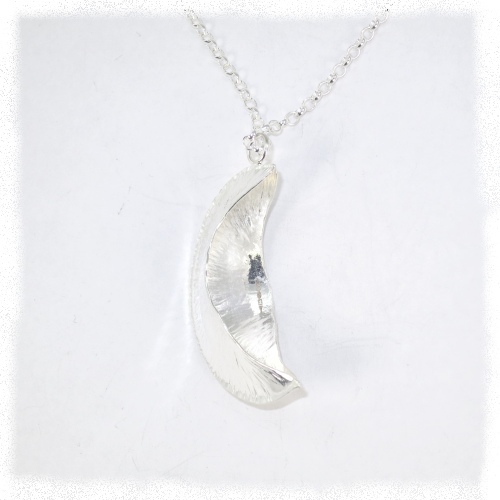 It is currently on an 16 inch trace chain and is fully hallmarked.